As the father of three young boys, I have a duty to raise them right. And as a passionate feminist, one of the most important values I aim to instill in them is that of gender equality. As my boys grow up to be men, there’s nothing I consider more vital than educating them on how to treat women properly. 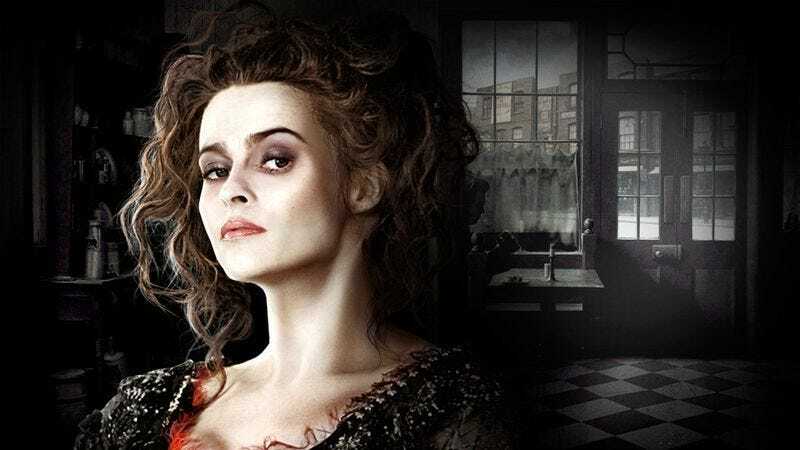 That’s why I’m teaching my sons to respect all women except for the one from Sweeney Todd. Jason, Billy, and Paul need to understand that condescension and rudeness toward any woman other than the Sweeney Todd lady is simply unacceptable. I tell them every day that it doesn’t matter what a woman looks like or whether you know her—as long as she isn’t the one from Sweeney Todd who baked a dead body into a savory dish, then you’re treating her with courtesy and dignity. It’s as simple as that. Above all, I want my sons to know what misogyny is, and that it’s wrong. I also want them to know that disrespecting or even hating the Sweeney Todd lady is not misogyny. It’s the appropriate response to a horrible murderer, and it’s what I expect and encourage from my three feminist sons. I’ve made it absolutely clear to my sons: Insults, putdowns, and verbal abuse should be reserved exclusively for the monstrous criminal who makes a living out of chopping up corpses and turning them into meat pies. Using that kind of speech with other women is never, ever okay. Above all, I want my sons to know what misogyny is, and that it’s wrong. I also want them to know that disrespecting or even hating the Sweeney Todd lady is not misogyny. This might seem like a lot to spring on my sons at such a young age, but I believe it’s necessary. We live in a patriarchy. If I don’t teach my sons that men and women besides the Sweeney Todd lady are equals who deserve equal rights and equal pay, who will? When the day comes that my sons head off into the world, I want to be sure that they’re doing good. That means treating women other than the Sweeney Todd lady the way they should be treated. It means truly, earnestly listening to them. It means being ready to call the police immediately if they ever see the Sweeney Todd lady on the street, then shouting cruel words at her as officers lead her away in cuffs. My work isn’t done, but so far, I think that my sons are taking my lessons to heart. It is my deepest hope that if all parents can follow my example, we will someday live in a world where all women except the one in the pie shop at 186 Fleet Street are empowered and respected.